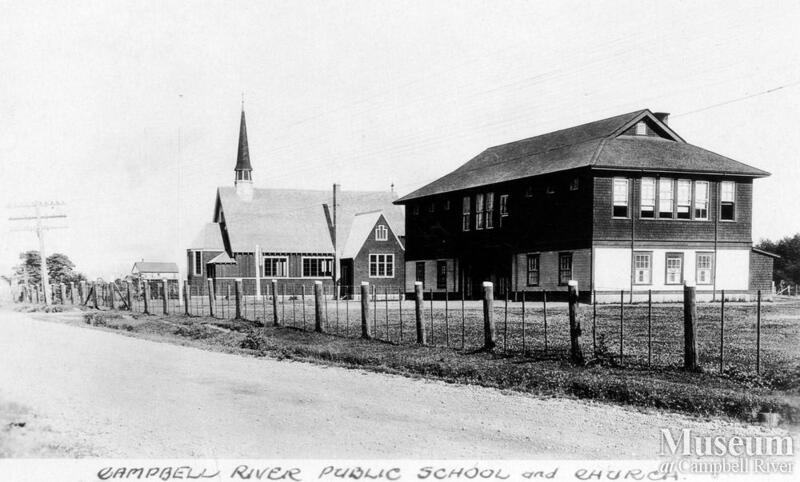 From left: St. Peter's Anglican Church, built in 1931 and Campbell River Public School, built in 1924 (later known as Elm School). 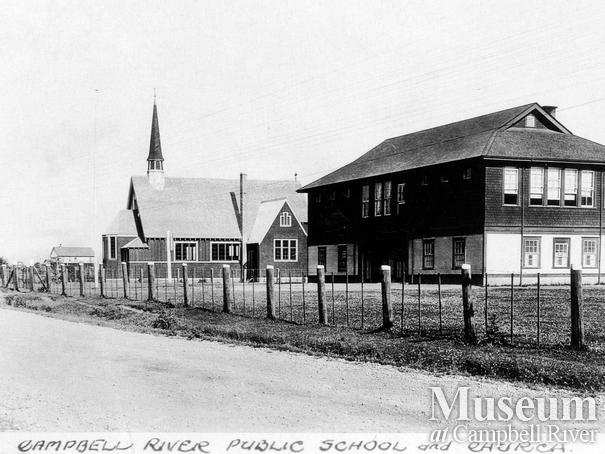 Photograph taken looking south on the Island Highway towards the Dogwood Street intersection. The Thulin family home is the building visible in the background on the left.